The small creature in this story dreams of joining in with the others. But he’s different. No matter how hard he tries, he just doesn’t belong. Then Something turns up and wants to be friends. 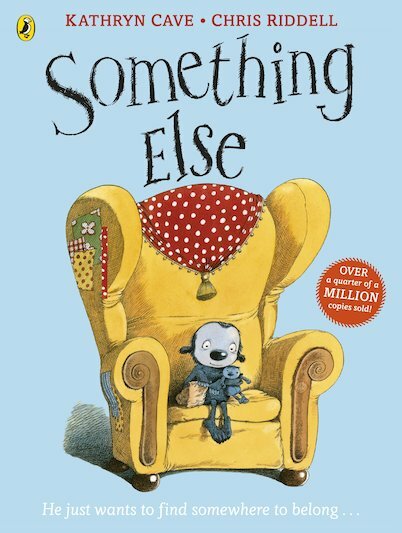 But Something Else isn’t sure he’s like him at all… Very simple yet incredibly touching, we think this is simply the perfect picture book. Beautiful and uplifting, with expressive artwork by former Children’s Laureate Chris Riddell. 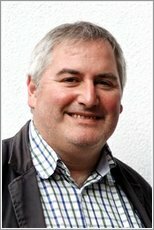 Chris Riddell is a writer, artist and political cartoonist for the Observer. His children’s titles include the Goth Girl and Ottoline books, the Muddle Earth series, written with Paul Stewart and picture books for younger children. He has also collaborated with Neil Gaiman on books like the brilliant Fortunately, the Milk. Chris has won many of the top children’s book prizes, including a Smarties Gold Award and the rare honour of two Kate Greenaway medals. He was recently named the 2015-2017 Children’s Laureate.